–The Butler Boys Basketball team defeated Chambersburg 56-42 Saturday in the opening round of the PIAA tournament. Ethan Morton led the Tornado with 20 points. Butler will face Coatsville Wednesday in the second round. The game will be played at Chambersburg high school beginning at 7:30pm. WBUT will carry the game beginning at 7:20pm. –Pine-Richland defeated West Lawn Wilson 89-64 and will face Kennedy Catholic Wednesday at Slippery Rock University. Tip-off is 7:30pm. –The Slippery Rock Girls defeated Obama Academy 60-42 in the 5A First Round. The Rockets will face undefeated WPIAL champion Chartiers Valley Wednesday at Moon high school. Tip-off is 6pm. –The North Catholic Girls defeated McKeesport 58-42 in the 4A First Round. The Trojanettes will meet Blackhawk Wednesday at Fox Chapel high school. Tip-off is 6pm. –Forest Hills eliminated the North Catholic Boys 64-51 in the 3A First Round. 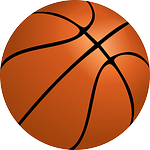 –The Mars Boys defeated Milton Hershey 74-65 in the 5A First Round. The Planets will meet William Penn at Hollidaysburg high school Tuesday at 6pm. –The AC Valley Girls defeated Cambridge Springs 47-44 in the 2A First Round. The Lady Falcons will get WPIAL champion OLSH Tuesday at Armstrong high school. Tip-off is 6pm. –The Grove City Boys defeated Bedford 67-52 in the 4A First Round. They will meet WPIAL champion New Castle Tuesday at Slippery Rock University beginning at 7:30pm. Seneca Valley wrestler Alejandro Herrera-Rondon won the state championship in the 113-pound weight class Saturday in Hershey. It was his second consecutive PIAA title. Dylan Chappell of Seneca Valley was the runner-up in the 106-pound class. The post PIAA Basketball Second Round sites revealed/SV wrestler wins state title appeared first on ButlerRadio.com – Butler, PA .